Jesus used parables to connect spiritual truth with people's lives. Now you can do the same with this book of attention-grabbing modern day parables (i.e. skits) Use these 5-minute skits to get your group members thinking and laughing, then talking about spiritual truth and how it relates to important areas and issues of their lives. Quick and easy production. Complete set, prop and costume suggestions included with every skit. "Disarming" discussions that go deep. 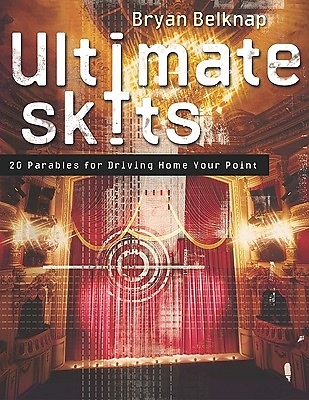 These parable/skits include open-ended discussion questions on two Bible-themed topics. Flexibility. Skits are indexed by topic and by Scripture verse to make it easy to find just the right skit for the area or issue you are covering.